Plano is a city that works. There’s job growth and opportunity, cultural attractions, centers of higher education and outstanding healthcare. There’s so much to take advantage of in this great Texas city… if you’re up to it. Experts estimate that sleep apnea affects approximately 1 in 15 people, which adds up to a lot of people in Big D. Sleep apnea is marked by the cessation of breathing during sleep. And while people who have sleep apnea may not realize it, these episodes actually cause them to awaken throughout the night. The cumulative effect of all this time awake makes for some sleepy people in Plano during the day. 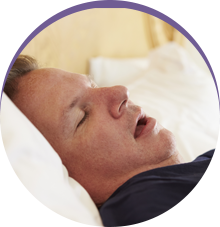 If you’d like to find out if you or a loved one might have sleep apnea, then call Sleep Rehab. Our office in Plano, TX, is conveniently located near many areas of the Dallas Metroplex and we can help you sleep better. Moreover, obstructive sleep apnea has been connected to several serious health threats such as hypertension, stroke, cardiovascular disease, diabetes, depression and impotence. You may have heard of continuous positive airway pressure, or CPAP, which for many years was the treatment of choice for obstructive sleep apnea. However, many patients don’t stick with this treatment because of the bulky mask. Now, however, Dr. Fedosky and his staff at Sleep Rehab offer a comfortable alternative. 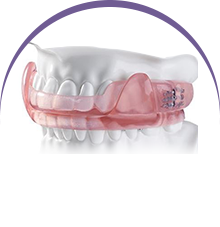 We can prescribe a custom oral appliance that will hold your mandibular, or lower, jaw forward and prevent your tongue from collapsing during sleep. You’ll breathe easier, sleep better and be ready to take on the day in Plano! 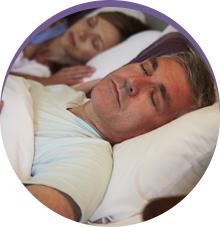 For an accurate diagnosis of sleep apnea for you or a loved one, contact Sleep Rehab. We’ll be glad to consult with you and give you all the information you need about sleep apnea, snoring and treatments available at Sleep Rehab. Contact us today!